I hope you are settling in to Term 1. I have added new games to Number of the Day, now with a 4, 5 and 6-digit version. 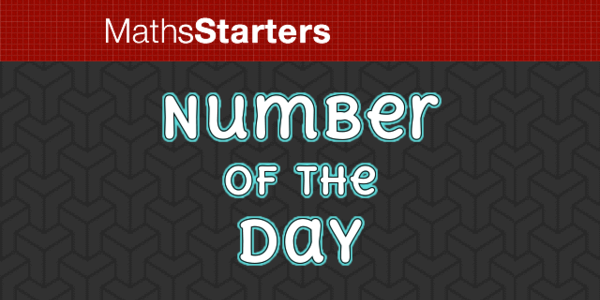 4, 5 and 6-digit versions of Number of the Day as well as harder versions. Randomly select students to answer questions with MathsStarters Premium. This parent support kit is designed to help parents understand what children learn in each grade K-6. The parent support kit uses parent-friendly language to explain the skills that children work to achieve by the end of each grade. This visual guide for students demonstrates why you cannot just add along the numerator and denominator when adding fractions. Desmos has added stats tools to their online calculator, including histogram tool, normal distribution and more. This animated video lecture shows how the 'quadratic formula' can be derived from the process of completing the square and why the quadratic formula is so useful. © 2019 Simon Job | This site was created in a private capacity and is not the work of my employer.